Reading should become as natural as breathing, eating and today is as… surfing Facebook. And for anyone who wants to become a leader, the habit of reading need to be trained more often. 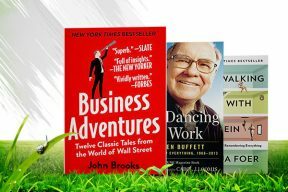 If you do not have the time to read four books a week, one book per month does not take up too much time of your life, especially if you’re still having a dream to become a future manager/leader. 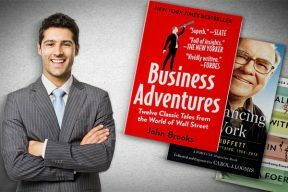 Here are 10 best books on leadership that discuss on various categories such as Self-Leadership, Understanding Leadership, Communication Arts and Motivational. 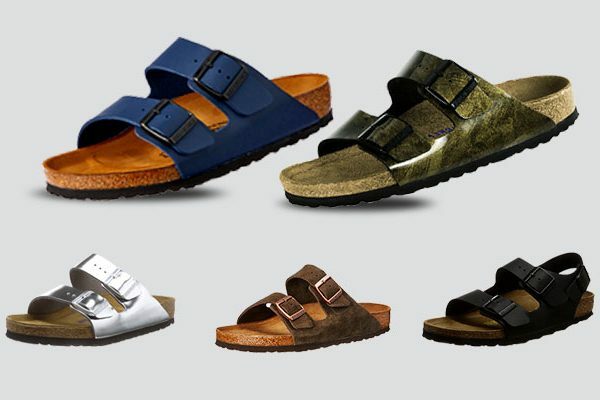 I’m sure that this collection will create a varied menu for learning about your leadership elite. 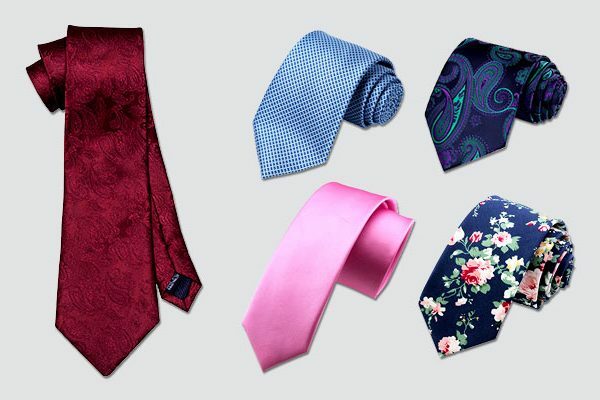 So, don’t miss out! I’ll start up this shortlist by a versatile leadership book that’s not only for executives or senior managers but also for everyone, from technical managers and project managers to supervisors and for every new leader in the era who desire to transfer from one level to another. Motivate yourself to adapt to your position and environment: Leaders need to get rid of the way they think and work in their old positions to take on new roles. Do not assume that what has helped you succeed before will continue to promote effectiveness. Always Learn: But learn what? Learn about the company, the people, the field of business and all other things about the new company as quickly as possible. Leaders must explore the organization’s market, product, technology, system, structure, culture and politics. Choose the right strategy: Sorry to break the news, but there is actually no single rule to succeed in the transfer phase BUT there are basically four situations that every leader will face with: (i) the beginning; (ii) the turning, (iii) reorganizing and (iv) maintaining success. Win the First Steps: Having success early will help the leader get the trust of the people. Negotiate and Build Successful Relationships: Leaders need to find ways to build a friendly, effective personal relationship with their assistants and meet their expectations. Leaders need to discuss their situation, expectations, work style, resources, and personal development needs with their assistants and their staff. Build organizational solidarity: The higher the role of the leader in the organization, the more important it is. Leaders need to build a good working environment, create solidarity in the organization, unify the strategic direction and working methods of each department with the general direction and strategy of the company. Building Teamwork: Effective teamwork plays a vital role in the success of a leader. Experience shows that leaders need to make tough decisions about the people, not allowed to respect and compromise if you want to succeed. Establish a coalition: The success of a leader depends not only on the individual or group’s ability but also on the support of those who are not directly under the authority. Maintaining balance: As the transition period is very stressful and difficult, the balance in life is very necessary. Therefore, the leader needs to build it, which is the basis for self in this difficult period. Concern for people: Finally, the leader needs to understand his role to help everyone, both subordinates, superiors and colleagues who have overcome the difficulties in their transition period itself. 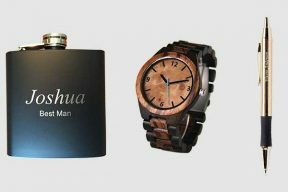 In an age where prominent people always attract attention, a humble lifestyle seems to be a big weakness. However, the power of Pope Francis came from his own humility. Traveling in a Ford Focus, refusing to live in a lavish pontificate while caring for the poor – these actions represent a model of leadership that we have long since disappeared. The pope has become one of the most talked-about people in the world, one of the most revered religious figures, a wealthy leader. Do you agree that manager is the one who makes everything right, and the leader is the one who does the right thing? If yes, you have the same viewpoint as Peter Drucker! 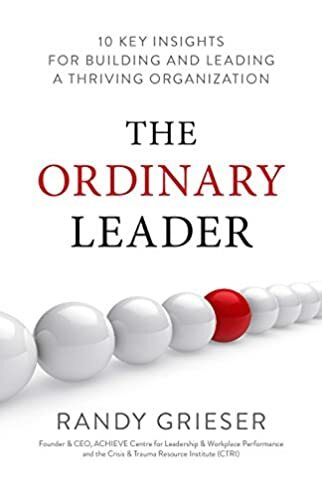 With John C. Maxwell, there is a common pattern for the true leader, and if you are a loyal fan of his, might you find that his writings are geared toward this model. His philosophy of artistic leadership is built on the belief that its fundamentals are invariable, evaluating across space, time and even all disciplines. 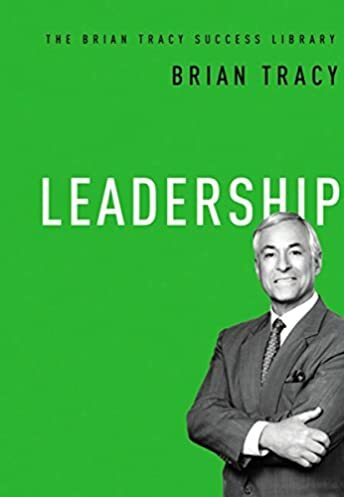 So, he filtered over 30 years of hands-on experience and taught leadership to “The 21 Irrefutable Laws of Leadership” – the principles that every leader needs to apply and practice with active, flexible and frequent to assume their role and position in a comprehensive way as well as lead others to the success. No one becomes a leader after reading only one book. “The 21 Irrefutable Laws of Leadership “will open a door to the inherent leadership qualities of each person, so that they can be used and developed for their harmonious and humane environment. It is also the starting point that cannot be ignored by leaders who are eager to self-innovate by getting a reference point for their experience, finding the basis for analyzing and honing skills, vision building and identify the possibilities for action that allow yourself to grow higher and further. It’s not boasting to say that following the principles of John Maxwell, and people will follow you! These are the principles that fundamentally influence personal and organizational effectiveness and show that “success is headed by the leader,” as Maxwell has said. (Now, I’m going to spoil this book a little bit!) Here, you will also get the best reasons for why Henry Ford nearly brought his company to bankruptcy, some businesses have got a lot of venture capital while others do not, or why Princess Diana is loved by millions whereas her husband does not convince anyone. Besides, it also talks about why Coca-Cola’s stock price was still very high, even if the CEO of the company suddenly died. Other than that, John C. Maxwell discusses about the number of parishioners in the area of ​​unnamed pastors increased from 700 to 14,000 in seven years as well as the Limit principle is the most important leadership principle. This book deals with the questioning of leaders and employees, which I highly recommend you to read. – What do I have to do to lead myself to success? – What do I do when I start to lead the others? – How can I succeed when working with poorly qualified leaders? – How can I transfer my leadership roles? Asking the right questions for the right audience will help the leader to communicate with others, gather multi-dimensional and accurate information. From there, he can get a comprehensive picture of the issue as well as inspire and attract people. Nobody can’t deny that assess yourself and evaluate your employees help make important decisions and make sense! What you’ve got from this book? Well, it’s the revolutionization in your workplace! 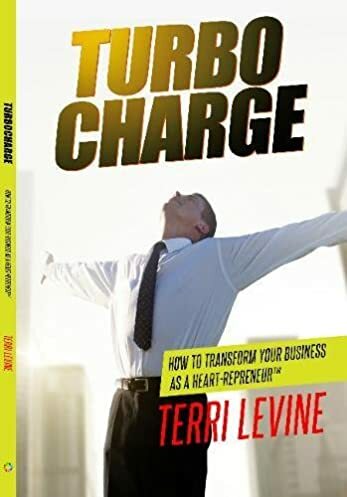 “Turbocharge How to Transform Your Business as A Heartrepreneur®” contains proven methods that dramatically increase employee morale and retain the talent. 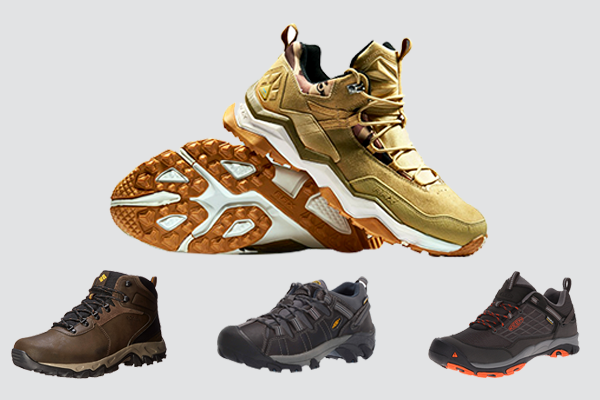 Besides, it guides how to create higher productivity and profitability for the company. I’ll take my own case to prove for this book. Through the application of Terri’s strategies, my work environment has changed dramatically. Particularly, my employees feel empowered, confident and comfortable to work better. If you are a newbie leader, this book is going to be your best bet! How to work and influence people as a superstar, no matter where you are? Is there a method for identifying and capturing opportunities at times of change? What are the true secrets of innovation? Or, how to build an instant strategy to build great teamwork and become a spectacular supplier of clients? I’m glad that you have. 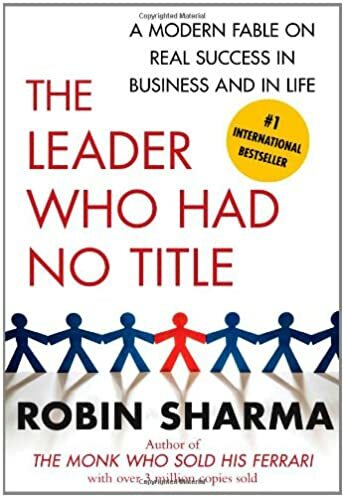 However, if you haven’t found the best answer yet, don’t fret, because here is my highly recommendation for you – The Leader Who Had No Title: A Modern Fable on Real Success in Business and in Life that is summarized from more than 15 years working as a silent mentor for the companies in the Fortune 500 list as well as other super rich people. With one and only formula to success, it has made him become one of the most popular leadership mentors in the world. The reason I spend time talking about his career is to emphasize that this is the first and very precious time for you to receive and learn from Sharma. Take this book and you can get the best out of it as well as help your organization take some breakthroughs to a new level of success in this modern time. 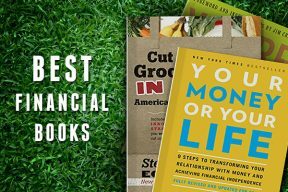 Other than giving the best answer to those questions above, this book also discusses on the hard tricks help to be both physically and mentally strong to be able to lead in your field as well as the practical methods to overcome stress, build a will to unbeaten, release energy, and balance your personal life. Regardless of what you do in your organization and your present life, the only important fact is that you have the ability to demonstrate leadership. No matter where your current career is, you will always need to show your talents. Trust me! This book will guide you on how to make the most of that capability, as well as change the life and world around you. You will need this book if you are struggling in the troubles of managing the others and forget about your own troubles. You will find this book is helpful to change your mind, change your direction and change the way you evaluate success. 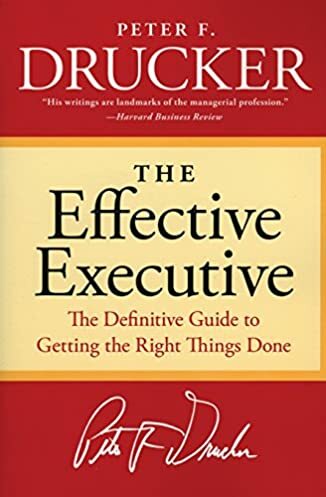 Even if you are not a manager, ” The Effective Executive: The Definitive Guide to Getting the Right Things Done ” is also a great help to train your personal qualities. In addition to the eight principles that an executive must set for himself, Peter F.Drucker carefully analyzes the skills needed to train himself towards the goal of self-improving. 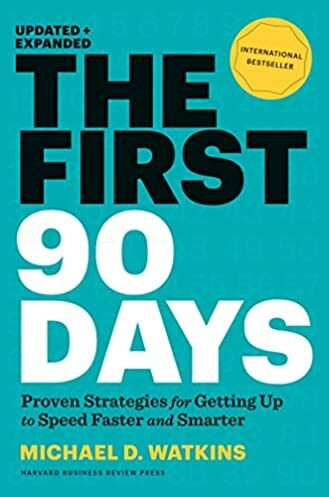 This book, it’s not based on just numbers, but all the mentioned inferences are due to long experience, showing both the failure and success of many individuals, organizations and companies around the world. From that point, it delivers a great motivation and direction for you to draw a conclusion for yourself. In the book, you will be able to understand the failure of the Ford Edsel Car although the previous data collected assured that it was going to be successful. I am also surprised to learn that the number of people who don’t work efficiently, and sometimes that’s the main reason for redundancy management. You will also learn how to manage time greatly from the president of the most famous bank where Peter F.Drucker used to work as a mentor. He always performed an effective exchange for 1 hour 30 minutes with the rule: no one bothered except “The president and my wife”. In briefly, this is really a book for everyone, because most of us are not working efficiently or the efficiency isn’t meet our desire. Even if you are a successful manager, the book will help you achieve even more success. If you want to maximize your leadership, you certainly have to ask yourself the most difficult questions that any leader needs to get his own answer in order to succeed. And hopefully, you are also constantly asking those strategic questions for all of your team members. Remember that the answer only comes when you ask a question. 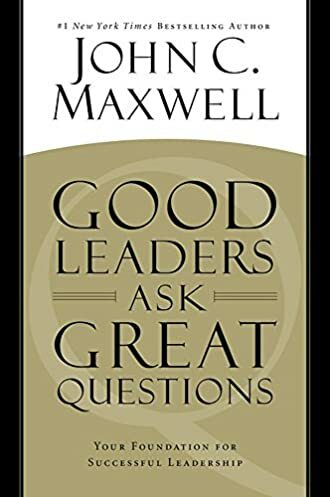 John Maxwell wrote this book about leadership for the sake of gathering the best questions and giving the most needed answers to a separate book. 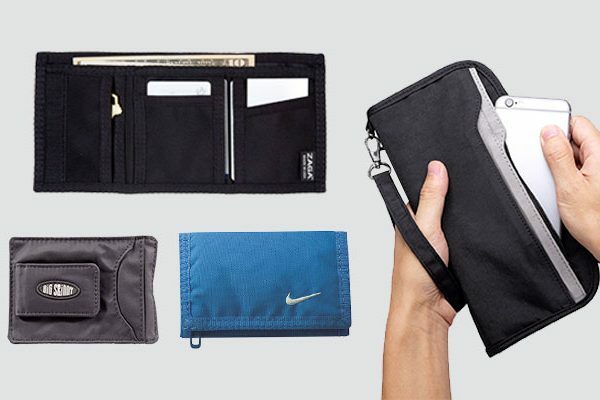 Leadership 101 is like a pocketbook that everyone from team leaders and company executives from corporate leaders and even self-leaders can carry around and look up the issues that they are stuck in the present. Importantly, these answers are all derived from the experience of valuable leadership manager of John Maxwell that have been accumulated throughout his career. 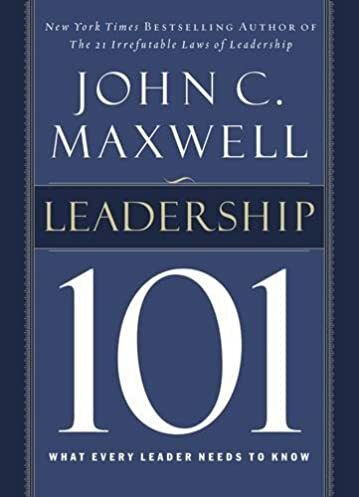 When you read the questions and answers in this book, believe that you will find the most useful and practical advice on leadership drawn from John Maxwell’s own experience. Some answers will confirm your leadership. Some other questions will give you new insights and stir up your mind. Maybe they will motivate you to start asking more questions about leadership and exploring new growth potential. John C. Maxwell’s goal is to synthesize the answers and write the book. This leadership question is a desire to awaken potential leadership in you and help you develop it. 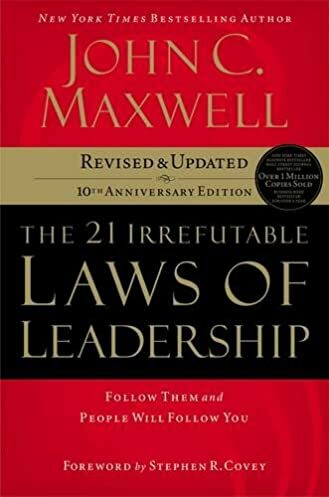 For those who don’t know about Professor John C. Maxwell, he has been honored as a master of leadership art and is also the author of more than 13 million published issues. His organization has trained over 2 million leaders around the world. 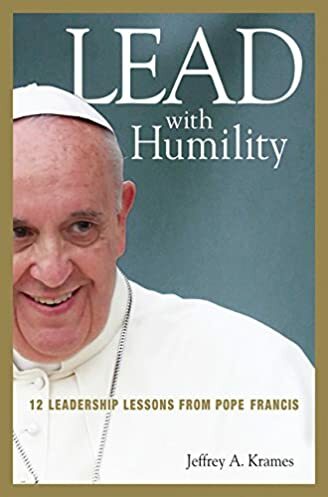 So, if you don’t get a ticket to participate his leadership training classes, hands-on this book is a relatively good choice to become a great leader like many others around the world. It’s a matter of the fact that there’s no leader who knows everything and is expert in every field, doing everything. As a leader, you cannot succeed alone! After learning the answers from this book, you will know how important a team is. As you move forward, remember that good leaders always ask good questions. They do not always know the answer, but just by asking, it helps them become better. Being skillful, you become a good boss, BUT, to be an outstanding leader, you must have the spirit and basic leadership principles that are important for your business and even for yourself. With this book, the author introduces 10 important principles to help you become a true business leader. However, the ten principles set forth by the author are not isolated and separate, in fact, each one is related to the other. Your leadership philosophy is your own. Can’t deny that there is no exact copy of this book or any other books. But of course, we can and SHOULD learn from each other to form a vision of leadership. In fact, the more leaders, the more ways to approach to leadership. No matter who or what attracts you to this or that way, you are the one who governs your life. You – who should give the answer to all questions. Do not wait for anyone to remind you or let you go – take your own steps. Yes, seek advice from someone you respect, but remember that the final decision is yours. Decisions in life are yours and only you. You do not need to find anyone’s consent to live or to do with your life. Your life does not need to follow anyone’s footprints in the path you choose. There is no need for consent! (It’s true!) The way you decide to use that freedom is up to you. So, be a positive person! Do not let things stay the same! Be willing to risk and step into an unfamiliar place. People who choose to be safe are usually those who do not have great expectations. So, dream big and resounding, with a little bold and fierce. Life is constantly asked: “What’s next? What do you want? ” Use your freedom to answer those questions. Let’s jump and jump! No one was born as a leader. So, what turns an ordinary individual into an inspirational one as well as set an example for the others to follow? Impact on the motivation and enthusiasm of the staff to make them happy to implement your vision. Pick it and I assure you won’t regret! Pick your favorite books now and start reading. But kindly make clear that these books, they are just “the tools”, it’s you and your mind-changing are key factors to upend yourself to be a greater leader. 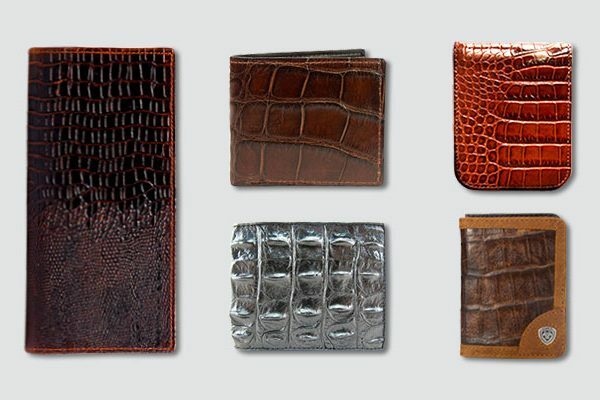 Hopefully, this collection gives a hand to help you in leadership. 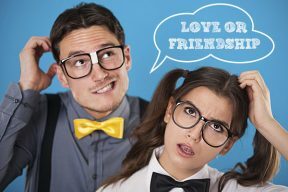 Is She Flirting With Me Or Just Being Friendly?